A first half goal from Gerard McSorley proved decisive as Dundalk Gaels made a winning start to their Senior Championship campaign at Clan na Gael Park on Sunday night. Last season’s runners-up will be determined to go one better this time around and they proved too strong for a Geraldines outfit that were once again severely hampered by injuries to key players. 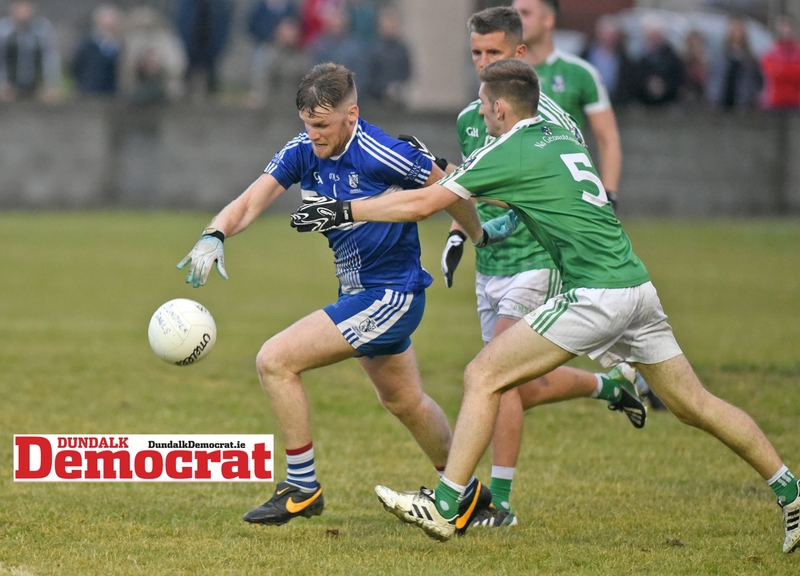 Despite picking up a morale-boosting win in their opening game against St. Patrick’s, the Gers were unable to match that performance and succumbed to a more clinical and well-drilled Gaels outfit. From the opening whistle the Dundalk side looked determined to take advantage of the Gers’ difficulties and after a cagey start, they took the lead after four minutes through a McSorley point. 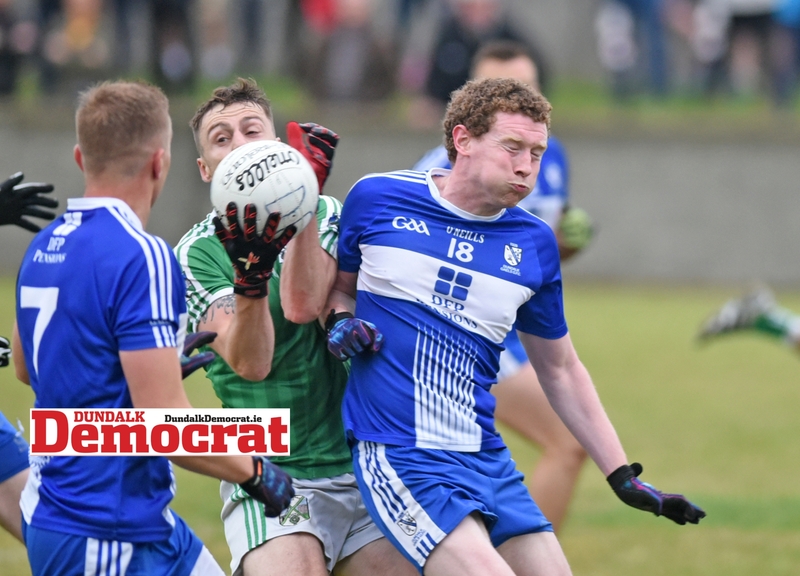 Their ability to attack from deep and get ball into the forward line resulted in further points from Seán Murray and Barry Watters before a fine effort from Glen Trainor had the Haggardstown side off the mark. Gaels continued to enjoy the better of the game and had further scores from Éanna and Conall McArdle before Michael Rogers kicked the first of his nine points on 14 minutes. The Ramparts team continued to find space in attack and the decisive moment arrived 18 minutes when Derek Crilly picked out McSorley and the Louth player fired to the net off the post. Éanna McArdle followed up with a point to put his side 1-6 to 0-2 in front and in a very strong position. Geraldines were lacking a real threat in attack, but Michael Rogers did his best to keep them in touch with a fine display of free-taking. By the end of the first half he brought his tally to five and helped reduce the gap to 1-8 to 0-7. But. despite that mini-revival, Gaels were always in control in the second half and their defensive approach allowed them to control the pace of the game. Although adding only four second half points to their total, they had enough of a cushion to get over the line.